These delightful serviced offices in Knightsbridge have great transport links close by with an underground tube station just opposite the Business Centre. 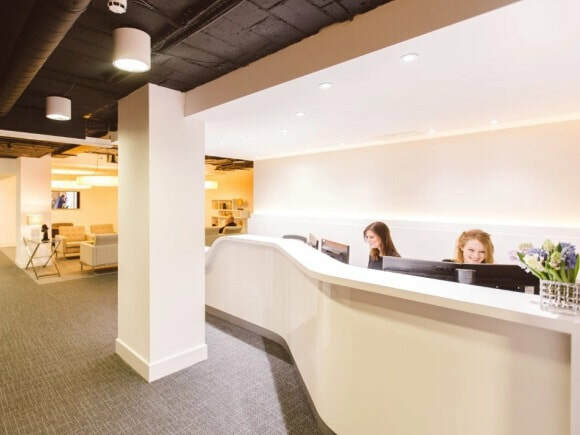 Being one of the most convenient locations in Knightsbridge, these offices for rent have just recently been refurbished to a very high standard and offer the latest technology on site. Serviced offices are unbranded and have flexible occupational periods available from 3 months to 12 months. The reception area has a warm, corporate feel and includes television screens and modern artwork so visitors feel at ease in a professional working environment. Ideal for small start-ups or larger organisations, Knightsbridge Green serviced office space come with views across central London and also have the option to be furnished or unfurnished. The Business Centre also offers let terms that are negotiable.